Your mom has baked a wonderful cake, when suddenly... Oh! You seem not to be the only one who wants to eat it! A lot of voracious robots came for a feast! 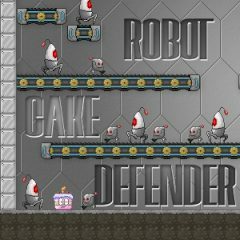 Defend the cake against them!